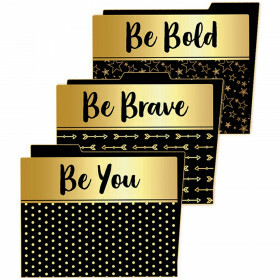 The Aim High substitute teacher folder provides a simple, stylish way to help you prepare for the days you are out of the classroom. 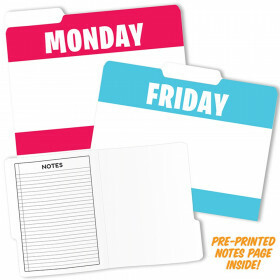 This classroom folder includes designated areas to record your daily schedule, contact information, classroom procedures, and more! 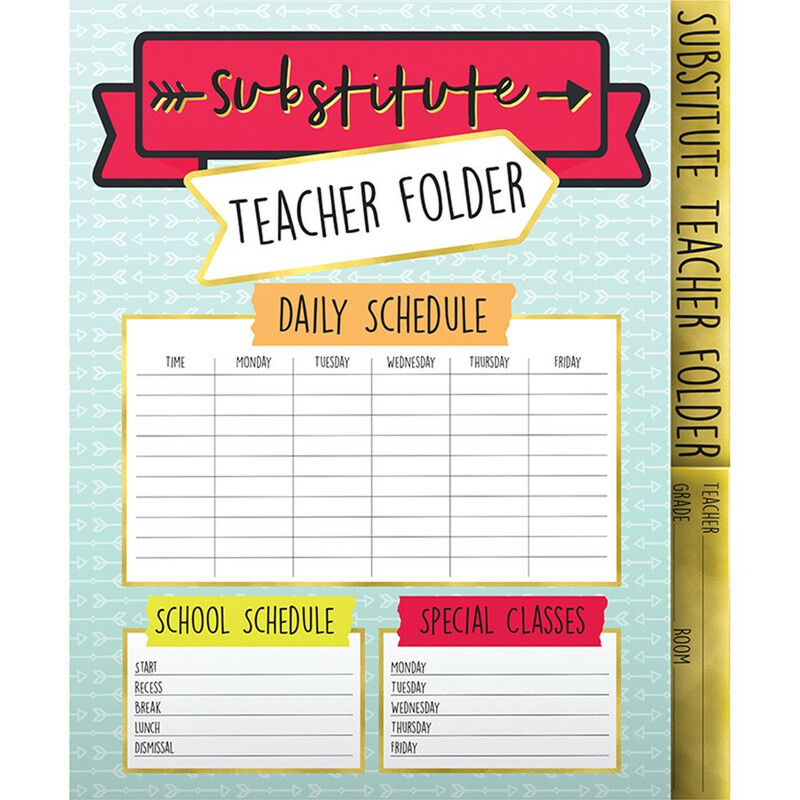 The easy-to-use substitute teacher folders make it possible to have complete confidence and peace of mind when absent from the classroom. The clean layout of the folders makes organizing important classroom information a snap! 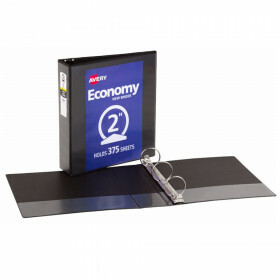 Each folder also features a sturdy pocket to store everything else a substitute teacher might need. Looking for something similar? 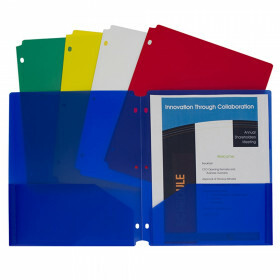 View our Folders or Supplies sections to find more educational supplies items similar to Aim High Substitute Teacher Folder.